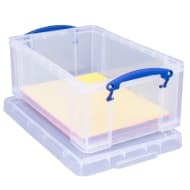 This transparent, solid plastic Really Useful Box has a generous 18 litre capacity and is built for multi-purpose storage. 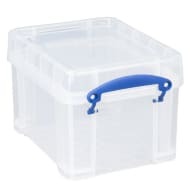 Comes with a lid and clip lock handles to keep contents secure. 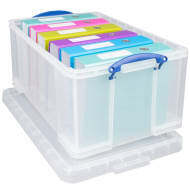 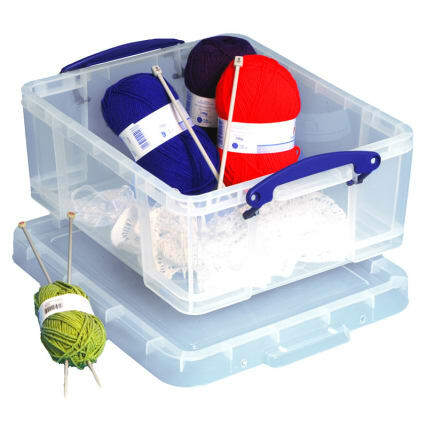 It can be used for storing a range of items such as office supplies, school stationery, kitchen utensils, crafts and knitting items, electrical DIY equipment, cleaning products and many more. 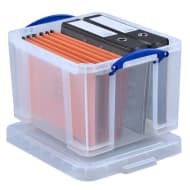 It can also be used to store CDs or DVDs, and can hold 44 DVDs or 93 CDs. 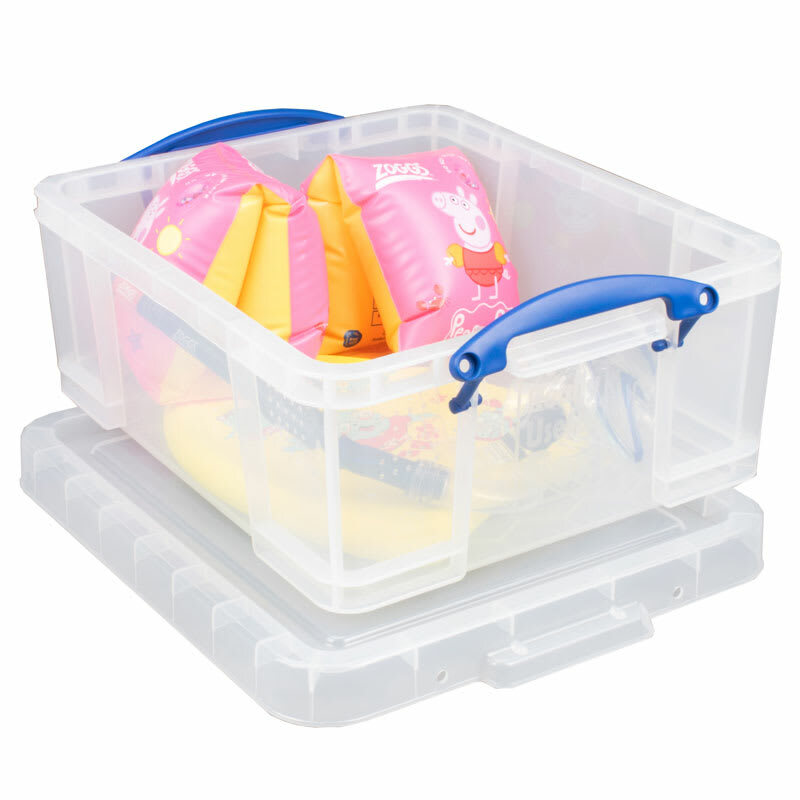 Made from sturdy polypropylene, Really Useful boxes are extremely durable, and its transparency allows easy identification of contents. 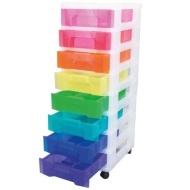 These boxes can be easily stacked on top of each other, offering a handy space-saving option. Ideal for home, office, school and arts and crafts storage.